We provide domain-based email hosting services to help you increase your brand’s trust in Zimbabwe! It also helps your business to look professional and promote your brand before you decide on your website design for your business. All you have to do is follow the easy steps listed below and soon, you’ll have a domain-based email address in no time. You must choose any one of the e-mail hosting options in Zimbabwe that we have and review your choice. You will have one of our email hosting experts to explain everything to you so that you make an informed decision. As soon as you’re satisfied with your choice, make your payment either by Cash, ZIPIT, RTGS, Paypal and or ECOCASH. We will then setup the email hosting service for you and get everything up and running. In no time, you’ll be sending and receiving emails. E-mail Hosting Handcrafted Just for You! It doesn’t really matter if you’re managing just a small group of people or running a small business, email hosting will provide you with the tools to succeed. Every business person knows that the cornerstone of every successful business is communication. With speMEDIA Zimbabwe, you will definitely do it right! Send a message that shows that you really mean business! The time to take advantage of the right set of productivity tools that will boost your business is now! You will never be alone on your road to success with SPEMedia. If you have any queries or questions, our team of professional customer support agents will be available 24 hours a day, 7 days a week. No matter where you are, you will get instant support. WithpeMEDIA e-mail hosting services, you will be able to access your email form anywhere, at any time and on any device. Did you know that you can actually take your e-mail experience anywhere? Yes, you can integrate social media platforms such as Twitter, Facebook, LinkedIn and many others. You can import your important emails from your old mailbox into your new one in a breeze! Our service will allow you to create custom mailing lists which will help you hit the targets every time. Can you help me with getting e-mail hosting in Zimbabwe? Yes, we can host your website today! Why not give us a call on +263 776 260 360 or email us to discuss your company’s e-mail hosting needs whether you are in Harare or anywhere in Zimbabwe. Get a free no obligation estimate or contact us to discuss your exact requirements. We appreciate that your business is unique in its own right. 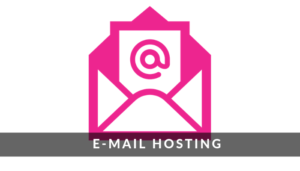 Therefore, we will develop a personalised business e-mail hosting plan for you. Kindly fill the form below and we will reply you urgently with a custom price quote. We are open from Monday to Friday 8 am to 5 pm.